Today In NYT Obituary Errors: Dining Reporter Julia Moskin Misses Key Facts Of Sheila Lukins's Fascinating Life. In June of 1993, NYT reporter Catherine Manegold wrote a 1,977-word NYT home section cover story about the ultimate food fight -- a fued feud between former cookbook collaborators Sheila Lukins and Julee Rosso, who wrote the bestselling Silver Palate Cookbook. Yesterday, Lukins died of brain cancer at the age of 66. And Julia Moskin's by-the-book obituary curiously leaves out the part of Lukins's story everyone remembers -- her split with Rosso -- and generally doesn't do justice to the famous cookbook writer's life. "But their high-profile pairing, which resulted in cookbooks that have sold 4.5 million copies, has come to a bitter end," Manegold wrote, in a fascinating story that also cast doubt the recipes in a Rosso solo cookbook. "The two women haven't spoken in a year." Their split took place after Lukins suffered a cerebral hemorrhage in 1991 that nearly killed her. The earlier brain illness is also missing from Moskin's obit. And another mistake: Moskin also quotes the note of an unnamed copy editor on the manuscript, telling her that "no one puts 25 cloves of garlic in ratatouille!" Moskin claims that the authors "retested the recipe and kept it." But The NYTPicker has in its possession a first edition paperback copy of The Silver Palate Cookbook from 1982 (thanks, Gwen! ), and we've checked the ratatouille recipe on page 167. "Two tablespoons of minced garlic," the recipe says. No mention of 25 cloves. 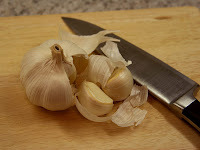 Internet estimates vary, but it seems generally accepted that two cloves of garlic makes a teaspoon. That would mean twelve cloves of garlic, not 24. Even the most awakened taste buds don't want that experience. Is there some reason that a NYT editor or writer would purposely leave out of an obit a central anecdote in a famous person's life? True, this one is controversial, but many people knew and remembered it. It's hard to believe that Moskin did so little research that she didn't know about it -- it's in Lukins's Wikipedia entry, for chrissakes! As an aside, "Sheila Lukins, 66: Awakened Taste Buds" will not be winning a Publisher's Merit Award for best headline this month. Wondering Where That David Pogue Post Went? The NYTPicker Changed Its Mind. Get Over It. Remember that post we put up this morning about David Pogue and Mark Penn and the ethics of self-promotion? We took it down. Get over it. It all started at this morning's staff meeting, when The NYTPicker got into a pretty intense argument about the post. "Was it really fair to call out Pogue on his little book promotion in his blog?" Jack mused aloud, shortly after we'd all gotten our 11:00 a.m. Starbucks orders filled, and gathered in the conference room to discuss our latest new ideas. "It seemed more like a nod than a commercial. No big deal." "Didn't even have a hyperlink!" Sharon chimed in. Good point. So we agreed. We made a mistake. Yeah, we know it's cached somewhere and whatever. But we're gonna withdraw it from circulation. We changed our mind. It happens. But be warned. We're watching you, Mr. Pogue. And not just because you're so funny. In Tomorrow's NYT, Frank Bruni Reflects On What It Felt Like To Reflect On His Years As A Restaurant Critic. Randy Cohen, the NYT's "Ethicist" columnist who earlier today quoted Katha Pollitt in a column as an "expert" without identifying her as his ex-wife, has admitted to The NYTPicker that "on second thought" he should have mentioned the connection. "I did indeed discuss this with my editor," Cohen told The NYTPicker in an email, "and we felt that the relationship was not germane, but sure, to answer your surprisingly anonymous query, on second thought I should have identified her as you suggest." Fourteen minutes later, Cohen sent a second, followup email to The NYTPicker. "And I meant to add that I'll amend the piece to include that; it's a great thing about the web that such a change can be made so swiftly," Cohen wrote. Indeed, Cohen's "Moral of the Story" blog has now been altered to reflect Cohen's change of heart. "As the writer Katha Pollitt (who is also my ex-wife) puts it..." it now reads. It's also a great thing about the web that such a change can be made without any mention by Cohen on his blog that he altered it. EARLIER: EXCLUSIVE: Today In NYT Laziness, Ethicist Randy Cohen Interviews His Ex-Wife As "Expert" For Column -- Without Identifying Her. Nothing quite nauseates us more than when the NYT -- and specifically, executive editor Bill Keller -- wraps itself in the "common man" image, as Keller did today in saying that Cintra Wilson's J.C. Penney essay shouldn't have been published. Keller then dragged his own mother into the paper's defense, noting that she was "a Penney’s shopper for much of her life,"and would have deemed Wilson's point of view “snotty.” According to Wikipedia, Keller's mother was the wife of the wealthy chairman and CEO of Chevron, and lived in San Mateo, California. Is this the same Bill Keller who has been seen sitting side-by-side with NYT critics and editors at fashion shows, happily ogling skinny supermodels who promote an industry that has ignored the overweight American population completely? Is this the same Bill Keller who pays the bills for his much-vaunted foreign bureaus by publishing a high-end, size-2-only fashion supplement, "T," that hasn't featured a full-figure model in its entire five years of existence? As hard as the NYT tries to be a newspaper for the common man -- most recently by getting itself a dog, and cloaking itself in the cuddly fur of man's best friend -- it's a staunchly elitist institution that depends on its upper-crust status for survival. Its readers live largely in the city's wealthy suburbs, not in its working-class neighborhoods. They shop at Saks and Bloomingdale's. They eat at the high-end restaurants reviewed by its critics, who stick mostly to Manhattan and Brooklyn when it comes to culling the city's culinary options. We don't object per se to the NYT's elitist sensibility. What troubles us about Keller's attack on Cintra Wilson's piece -- which we've already defended here against what we consider an unfair pile-on by politically correct readers and critics -- is that he would try to differentiate her point of view from the paper's own, and his own. Wilson is guilty of only one transgression -- of speaking the truth, in frank language, about a topic we all prefer to avoid. We live in a society that allows obesity to run rampant. These days, stores like J.C. Penney routinely label a dress that was once a size 20 at size 14 -- or smaller -- so that an overweight woman can convince herself she has lost weight. Penney has bought overweight mannequins (now increasingly common) to make its customers more comfortable. Indeed, Wilson praised Penney for its attention to the needs of overweight women, to the exclusion of the city's stereotypical social x-ray. Keller is guilty of a far greater commitment to elitism than he's willing to admit, or than is reflected in Wilson's essay. During his six-year tenure as the NYT's executive editor, while overseeing the literal shrinkage of his paper and reductions in its news coverage, he has given his full support to the paper's elitist elements -- overhauling the NYT Magazine's Part IIs into high-end vehicles for advertising to the too-rich, too-thin crowd who keep frequent advertisers like Barney's and Armani in business. (We've noted in the past the paper's obsessive, obsequious coverage of Armani.) Those magazines (once upon a time, edited by a NYT fashion critic) have become increasingly less interested in journalism, and more focused on high-end-user-friendly features for the NYT's richest customers. More recently the NYT has become fixated on Vogue and its troubles, perhaps wanting to comprehend the slide in high-end advertising that has afflicted its own messed-up business model. Just today, Maureen Dowd -- famously fascinated with all things ritzy -- chronicled a MOMA screening of the new Anna Wintour documentary,pressing her upturned nose against the glass yet again. We don't fault Keller for doing what's necessary to keep the NYT alive and kicking. But we do resent it when he criticizes Cintra Wilson for doing precisely what the rest of the NYT has done for decades -- celebrating the elitist sensibility that has kept the NYT in business. For Keller to make Wilson the scapegoat for his desire to align himself with working-class J.C. Penney shoppers is offensive and unfair. 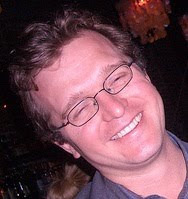 EXCLUSIVE: Jesse McKinley, NYT San Francisco Bureau Chief, Rumored To Replace Sam Sifton as Culture Editor. The latest hot rumor among NYT insiders is that Jesse McKinley, the NYT's San Francisco bureau chief and a former NYT theater reporter, may soon be named to succeed Sam Sifton as the paper's culture editor. "No decision has been made at this time," said NYT spokeswoman Catherine Mathis last night, responding to an email from The NYTPicker seeking confirmation of the McKinley rumor. McKinley declined to comment on the possible promotion. "I'm afraid I have to defer to Catherine on this, as she speaks for the company on all personnel matters," he said in an email to The NYTPicker last night. On August 5, when asked by The NYTPicker for comment on a report in Sharon Waxman's "The Wrap" that Living editor Trish Hall had gotten the Sifton slot, Mathis was far more emphatic in her denial. "We haven't picked a next culture editor," Mathis said at the time. "We've just begun the search." 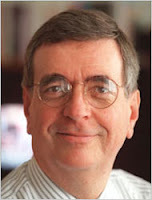 McKinley began writing for the NYT City section in 1993, and for three years handled the F.Y.I. column that answers readers' local trivia questions. In 1998, the paper assigned him to the theater beat, a post he held for eight years. During that time he developed a reputation for thorough, dogged coverage of the New York City theater scene. In 2006, the NYT rewarded McKinley with a plum assignment on the national desk, as its full-time bureau chief in San Francisco. Those jobs have often led to editing positions at the paper, and McKinley's experience as a culture reporter lends his candidacy added weight. 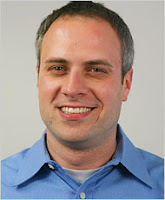 McKinley's brother, James C. McKinley Jr., is the NYT's Houston bureau chief. It's important to note that McKinley's name has only surfaced as the latest rumored choice to fill the high-profile post. (We had our doubts about The Wrap's report that Trish Hall had gotten the job, but reported it as one plausible scenario after former NYT culture reporter Waxman floated it on her site.) The final decision rests with executive editor Bill Keller, who surprised the rumor mill earlier this month with his unexpected choice of Sifton to take over the restaurant beat from Frank Bruni. 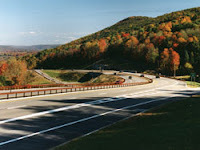 NYT Runs Sidebar On Taconic Parkway Today. That's Three Weeks After Taconic Accident Kills 8. Did it really take Lisa W. Foderaro three weeks to pull together this morning's Taconic Parkway sidebar about the road's dangers? Or is a slow-thinking editor to blame? Either way, it seems a little, you know, late. Clark Hoyt Agrees With NYTPicker: Brad Stone's Front-Page Story This Week Kinda Sucked. Let's get our conflict of interest out of the way first. 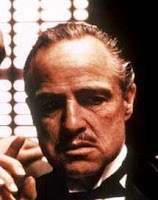 Clark Hoyt's Public Editor column today credits The NYTPicker with breaking the story of Brad Stone's web of connections to the sources in his page-one story this week, and with "embarrassing The Times" in the process. Thanks, Clark! We're flattered to get a hyperlink in your column, and to appear in the NYT itself. More to the point is the fact that Hoyt's reporting made even more clear the nature of Stone's failings. It turns out Stone and his editor knew about the sourcing problems we pointed out, and went ahead with them anyway. But business editor Larry Ingrassia now tells Hoyt that "Brad should have cast the net wider" in his reporting. But it should surprise no one that people who blog and post would be consumed with electronic networking. Whether the article spotted a trend among a broad swath of Americans is impossible to tell, at least from the sources The Times quoted. Hoyt's right. It's not news that Internet-savvy professionals would go online first thing in the morning. He correctly said Stone's sources were not only compromised by their relationship to the NYT and to Stone, but also not representative of a broad social phenomenon. Good point, Clark! It's refreshing to see Hoyt come down squarely against the NYT for a change. In the case of the problems in the Stone story the NYT's position had so far only amounted to a short comment to The NYTPicker from spokeswoman Catherine Mathis. But in the face of Hoyt's objections, the NYT has backed off the story, too. “You can’t do a story on a national trend with so little evidence," standards editor Craig Whitney told Hoyt, in reference to Stone's story. We agree. The NYTPicker Comes To The Defense Of "Critical Shopper" Columnist Cintra Wilson For Being, Well, Critical. The NYTPicker doesn't usually like to engage in commentary, but the debate over today's "Critical Shopper" column --"Playing To The Middle" -- by Cintra Wilson in the NYT Styles section has moved us to speak out in the writer's defense. Over on Wilson's website, readers have been trashing her with dozens of nasty comments, even calling her posted apology into question. We don't think she had any reason to apologize. 2. It's a widely documented fact that designers now falsely size clothes (it's called "vanity sizing") to make overweight people feel thinner. That explains Wilson's reference to "abundant size 10’s, 12’s and 16’s." She's right to note that these tricks are designed to appeal to plus-size customers. 3. It seems to us Wilson is welcoming the idea of servicing New York City's overweight population. "Herein lies the genius of J. C. Penney: It has made a point of providing clothing for people of all sizes," she writes. She describes the strategy as "really, remarkably smart," which it is. 4. The notion of obese mannequins has also been chronicled elsewhere in the press. Her observations reflect a logical and appropriate acknowledgement of an undeniable, if unfortunate truth --Americans are getting fatter. Wilson doesn't pass judgment on fat people; her commentary addresses stores that do -- or don't -- service them. This niche has been almost wholly neglected on our snobby, self-obsessed little island. New York boutiques tend to cater to the stress-thin, morbidly workaholic, Pilates-tortured Manhattan ectomorph. But there are many more body types who vote with their hard-earned dollars, who appreciate a clean new space in Midtown to buy affordable clothes in hard-to-find sizes, as well as attentive service from attitude-free professionals. 6. Most important: What's wrong with allowing a NYT writer to slip some clever attitude into an often-stodgy and humorless newspaper? Jill Abramson, the NYT's managing editor -- and, once upon a time, a brilliant, edgy investigative journalist -- now puts her byline on a treacly, earnest and often nauseating chronicle of raising a puppy. It's the safest and most pandering way imaginable to ply readers with the comfort food of maudlin prose. By contrast, it's refreshing to read Cintra Wilson's edgy, honest and clever take (along with that of her witty colleague, Mike Albo) in the NYT each week. We hope the knee-jerk criticisms of the angry mob wash away and leave her standing. Did The Gap Get A Positive Stuart Elliott Column In Return For A $200,000-Plus Ad Buy Today? Looks That Way. In the Thursday Styles section today, it's hard to miss the four-plus pages of color advertising from The Gap -- it's more than a third of the entire section, and dramatically announces the launch of its new Premium Jeans promotion. In the Business section, it's equally hard to miss the same ad -- this time, as a "news" illustration alongside Stuart Elliott's puff piece in the Advertising column, covering the campaign's launch. Coincidence? Well, consider the topic of yesterday's Advertising column: a puff piece announcing the new fall campaign from Bloomingdale's -- a subsidiary of Macy's, which is among the NYT's largest single advertisers. Of course it's inevitable that any good advertising reporter will end up covering campaigns of the companies that pay the bills of the employer. But in a newspaper that prides itself on avoiding the appearance of conflict of interest, the consecutive sloppy kisses from Elliott to the advertisers stand as examples of the increasingly blurred line between the paper's business and editorial sides. The NYT's ethics policy addresses this issue clearly. "Companywide, our goal is to cover the news impartially and to treat readers, news sources, advertisers and all parts of our society fairly and openly, and to be seen as doing so," it says. "The reputation of our company rests upon that perception, and so do the professional reputations of its staff members. Thus the company, its separate business units and members of its newsrooms and editorial pages share an interest in avoiding conflicts of interest or any appearance of conflict." The problem isn't just the ads, it's the story itself -- a 908-word encomium to the idea that this new campaign will save the suffering Gap brand. After a paragraph or so acknowledging the company's ongoing struggle, Elliott declares this "a major effort to address that," and devotes the rest of his column to assessing the new Gap strategy. He does so by interviewing executivrs from The Gap and the agency behind the ads, explaining the new approach. Elliott marvels that the new Gap campaign is "notable for its many nontraditional elements," noting that it's using a Facebook page (wow, how did The Gap come up with that?) and an application for the iPhone (incredible!) as part of the push. There's even a photograph of the jeans displayed on an iPhone, for the reader -- yes, there is one -- who has never seen what an iPhone app looks like. Based on posted advertising rates, it seems reasonable to estimate that today's Gap ads in the Styles section -- so-called "double truck" ads, because they take up a two-page consecutive spread -- cost upwards of $200,000. Chances are that because it's a new national campaign, it's part of even larger long-term buy that will dominate the style pages for days to come. In many ways, yesterday's Elliott column about the new fall campaign at Bloomingdale's was even more egregious. In it, Elliott offers nothing but praise for the store's newest notion, to create a movie tie-in -- called, in an act of deft originality, "Lights, Camera, Fashion" -- with its traditional fall promotional push. There's no mention anywhere in Elliott's column of the recession that has rocked retailers, except noting the fact that a short film Bloomingdale's has commissioned as part of the campaign is called "Recession Special." Bloomingdale's and Macy's have traditionally been a backbone of the NYT's print advertising. Today's NYT has one full page of Bloomingdale's advertising, but often several pages fill the front section, particularly on Sundays. To be fair, the NYT covers many of its top advertisers on a daily basis, and typically shows no bias. But when David Pogue writes about a consumer product, he's not commenting on the promotion; he's addressing the product's value -- and often gives harsh treatment to the paper's top advertisers. When Stephanie Rosenbloom writes about the strategic plans of a major retail advertiser, she's careful to offer balanced reporting. Too often, Elliott's column seems exempt from those standards. How hard would it have been for him to acknowledge the NYT's own central role in the launch of the new Gap ad campaign? Or to have mentioned the paper's heavy dependence on Bloomingdale's for advertising support? It's the lack of transparency in Elliott's column -- not to mention his tendency to marvel at every new ad campaign that comes along -- that leads directly to the appearance of conflict of interest that the NYT's policy is supposed to guard against. Maybe it's time for an editor to start mulling those apparent conflicts before Elliott's column goes into the paper. EXCLUSIVE: NYT's Brad Stone Camouflages Backgrounds And Connections Of Anecdotal Sources In Today's Page-One Trend Story. Ever wonder how those wacky NYT page-one trend stories get made? Well, in the case of this morning's widely-discussed Brad Stone piece on people who go online when they wake up -- "Coffee Can Wait" -- every anecdotal example in the story comes from the small, insular world of Stone's present and former colleagues, and even from inside the NYT itself. None are identified that way, of course. And in one case, Stone appears to have deliberately camouflaged a connection between two separate anecdotal examples, who in fact work closely together in the same office. --Karl and Dorsey Gude, the lead example and the focus of the story's first seven paragraphs, are identified only as a family living in East Lansing, Michigan; Karl is described as an instructor at Michigan State University. --James Steyer -- whose wife and children appear in a page-one photo, and whose own picture dominates the page-three jump -- is identified in the story as the founder of Common Sense media, "a nonprofit that deals with children and entertainment." But in fact, Steyer, an expert on the dependence of families on technology, has been quoted in 13 previous NYT business section articles, including three since April of 2009. To be fair, this marks Steyer's first appearance in a Brad Stone story; he has most recently appeared in stories by Stone's colleagues Brian Stelter and Tim Arango. --Liz Perle is identified in the article only as "a mother in San Francisco who laments the early-morning technology immersion of her two teenage children." But in fact, Perle is the editor in chief and co-founder, with Steyer, of Common Sense Media, and works in the same office. In this instance, it appears that Stone deliberately didn't include Perle's work title, so that readers would not be aware of the close connection between her and Steyer, and consider them two distinct examples. --Gabrielle Glaser is identified in the story only as "of Montclair, N.J.," whose daughter now misses her school bus more regularly after getting an Apple laptop for her birthday. But in fact, Glaser is a regular contributor to the NYT, who has had more than 50 bylines in the NYT since 1988. Her work appeared most recently in the NYT on April 19, 2009 on the front page of Sunday Business section. 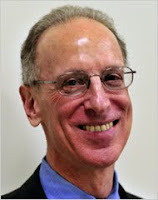 Glaser is married to Stephen Engelberg, a former reporter for the NYT, who now works as managing editor of ProPublica. We don't yet know to what extent Stone made his editors aware, if at all, of the various personal and professional connections that tied his sources to each other, to him, and/or to the NYT itself. We emailed Stone and Larry Ingrassia, the NYT business editor, to whom Stone reports, for comment earlier today. But we do know that readers expect, when they read a page-one NYT trend story, that the reporter has made ample effort to prove his thesis by casting a wide net for examples and evidence. Readers don't presume -- unless told otherwise -- that the sources quoted in a story have worked with the reporter, have made regular appearances in the NYT, or (as in Glaser's case) have been paid by the NYT. It may not violate the paper's rules, but in our view it betrays the reader's trust for a NYT reporter to have made so little effort to find examples outside his own insular world, and to have failed to thoroughly identify his sources for readers. Those failures diminish the value of a trend story dependent primarily on anecdotes, especially one given such prominent display on the NYT's front page. UPDATE: The NYT has acknowledged, in a statement given to The NYTPicker that reporter Brad Stone did not inform his editors of his connections to the sources used in his page-0ne story today, and has conceded that Stone's "small number of examples" weren't enough to prove his thesis. 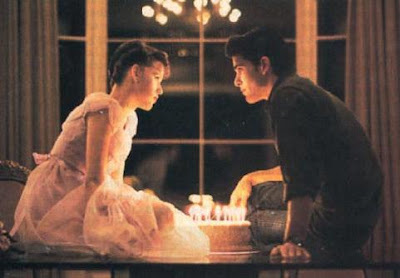 NYT's Alessandra Stanley, Appraising John Hughes's Career, Fondly Recalls His Hit Movie "Fourteen Candles." How Does Alessandra Stanley Get To Keep Her Job As TV Critic? That's One Question Clark Hoyt Neglects To Ask. Under the headline "How Did This Happen?" Public Editor Clark Hoyt today purports to address Alessandra Stanley's famously-flawed appraisal of Walter Cronkite on July 18, and to explain how the TV critic could end up with a whopping 8-error correction. But while Hoyt names several editors who failed to catch the mistakes in Stanley's piece, he ignores the deeper question on readers' minds. How does a television critic who has had 91 corrections of her work in just six years get to keep her job? Nowhere in Hoyt's 1,228-word essay today does the Public Editor address the question of what consequences Stanley has faced as a result of her epic fail on July 18. By focusing on the mechanics of the screw-up -- which includes naming editors who read the piece and who didn't fact-check it -- Hoyt bypasses the issue of a systemic breakdown at the NYT that led to the error-riddled essay. Hoyt says that Stanley is "much admired by editors for the intellectual heft" of her reviews, as though to be an "intellectual" has nothing to do with accuracy. Hoyt presumably knows that any "intellectual" whose work carried this many corrections wouldn't warrant much respect in the intellectual community. Hoyt also neglects to mention Stanley's longstanding close ties to the NYT's power structure, especially her membership in a close-knit group of friends that includes managing editor Jill Abramson, columnist Maureen Dowd, and book critic Michiko Kakutani. Last winter, Dowd -- whose own recent plagiarism troubles were whitewashed by Hoyt and NYT management -- wrote a travel piece about a spa vacation in Florida she took with Stanley. Do those relationships contribute to Stanley's job security? They can't hurt. Hoyt makes frequent references to "fact-checking," as though that is a standard part of NYT procedure. But as the Public Editor should know, NYT policy specifically makes fact-checking the responsibility of the reporter, not the copy desk or section editors. "Writers at The Times are their own principal fact checkers and often their only ones," the NYT's Guildelines on Integrity states (emphasis added). "If deadline pressure requires skipping a check, the editors should be alerted with a flag like 'desk, please verify,' but ideally the writer should double back for the check after filing; usually the desk can accommodate a last-minute repair." Hoyt's naming of editors who read the column, and who failed to flag errors, unfairly spreads the blame for Stanley's mistakes to editors with a multitude of responsibilities -- none of which include fact-checking the work of reporters. "We cannot tolerate this," standards editor Craig Whitney tells Hoyt. Culture editor Sam Sifton calls it "a disaster." But Hoyt doesn't quote either editor addressing Stanley's longstanding reputation as a careless reporter -- or say what the NYT specifically plans to do to keep Stanley from making mistakes in the future. The NYT has "tightened procedures to rule out a recurrence," Whitney tells Hoyt, adding that he will "monitor implementation of these measures." But Hoyt doesn't press Whitney to detail those procedures or measures. As usual, the always-forgiving Hoyt takes the NYT at its word. Hoyt also goes to great lengths to excuse Stanley's history, as well as her responsibility -- even though he quotes Stanley herself saying, "This is my fault." "For all her skills as a critic," Hoyt writes, "Stanley was the cause of so many corrections in 2005 that she was assigned a single copy editor responsible for checking her facts." Translation: Stanley was so error-prone that that the NYT rewarded her with her own personal fact-checker! Anyway, isn't part of the "skills" of a critic to correctly report on the industry she covers, without a copy editor's help? Stanley's errors have included getting basic plot points wrong, or names of well-known TV shows -- she once referred to the hit series "Everybody Loves Raymond" as "All About Raymond." Should it really be such a challenge for a TV critic to get simple facts straight? Don't look to Hoyt for answers to the real questions raised by the Stanley situation. His wimpy whitewashes of the NYT's ongoing managerial failures consistently let his employers off the hook. Every day that Stanley remains the NYT's television critic, the question of why her employers keep her in that job remain unanswered.